"We do not judge the past of any player", said Ramos. "Weekly management", said Lopetegui in his press conference. "Signing players is not something in our hands, but winning is. We did a lot of good things, we need to focus on that and work, work, work for what comes next". Asked whether Perez needed to sign a new forward to replace the 50 goals a season that Ronaldo all-but guaranteed, Ramos responded by saying the team keeping its "spirit and hunger" was the most important. "We will take the best decisions". "I think he will stay here". "I believe in managing and analysing the situation week in, week out". We have full confidence in our coach. "You can't compare them, it's like comparing a tomato to a biscuit, they are different, excellent, made differently". Real never conceded four goals in a match under Lopetegui's predecessor Zinedine Zidane and were aiming to win the trophy for the third successive season. 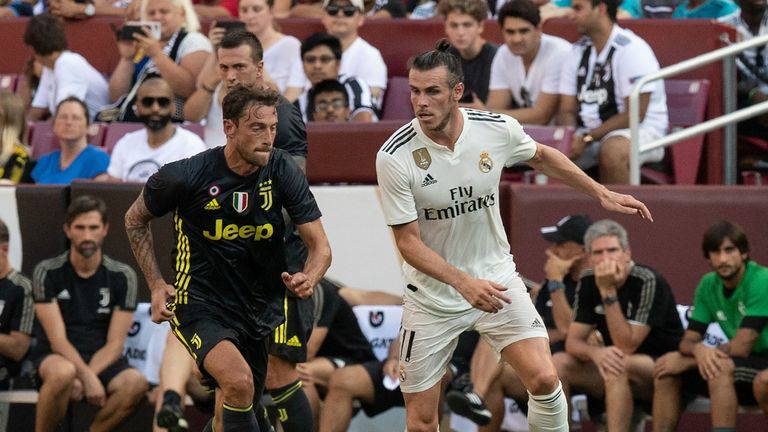 Wales global Bale threw his future at the club into doubt just moments after his stunning two-goal, match-winning display in last May's Champions League final in Kiev. "We have to get the most out of the team and start to lift ourselves up now and start thinking about a league season which we are very excited about", Lopetegui said after the Super Cup defeat by Atletico on Wednesday. "My biggest concern is to make sure we are capable of competing". Atleti's top honour under Simeone remains the 2013-14 LaLiga title, and they look set to challenge Madrid and Barcelona again this term. "Zidane did extraordinary work with incredible success but that is the past", Lopetegui added.